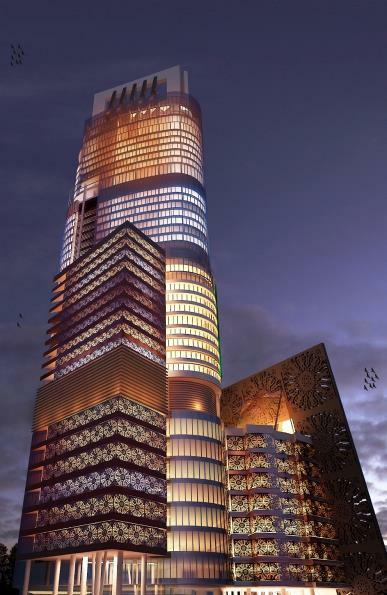 OPAL 225 TOWER, KARACHI – AAA Partnership Pvt. Ltd. The project consists of construction of new state of the art mixed-use development high-rise building 539 ft. high with a total covered area of 1,400,086 sq. ft. on a plot area measuring 1.408 acre or 6.800 sq. yds. approximately. The project shall primarily consist of a tower structure housing retail areas, offices, apartments and hotel. Basements shall mainly accommodate parking facilities. Surface Area: 1,400,000 Sq. ft.